I haven’t posted for a couple weeks. That happens at certain times of the year. This is one of those times. We have traditionally taken a Caribbean Cruise during this period of Winter. This year, we took a break from cruising, but spent the time allotted for that enjoying our Florida home and surrounds, with some of our cruising friends. When I think of Clearwater (which is essentially where we are), I think of the cleanest, whitest, sandiest beaches around. We have spent time on different parts of the Atlantic Coast and while the beaches there are wonderful, Clearwater Beach looks like it was filled with the “play sand” you buy at Home Depot! When I land in Florida, my first impulse it to take my shoes off and change to flip flops. And when I hit the beach, my first impulse is to take them off, and bury my feet in the sand. But you can’t spend all your time on the beach. There has to be time for good food and drink. I have lived in so-called “middle-America” for over 30 years. While my city has treated me admirably and I have known a great many wonderful friends, raised a family, and had a very good career there, one of my disappointments has been that for whatever reason, these communities do not support a large variety of great independent eating establishments. The chains are the rule. So one of my “vices” over the years has been to seek out nice restaurants and unique food opportunities when I visit areas that have them. Well, we seem to have hit the mother lode in the Tampa-St. Pete area. We have found a number of very nice restaurants, and there is a substantial Greek and substantial Cuban population in the area, which means some incredible food. I have not yet eaten in a chain restaurant in the 3 years we have been in the Clearwater area. And I really don’t intend to. One of our favorites–The Palm Pavillion–is literally “on the beach” in Clearwater Beach and you can sit outside and see the beach-goers. The food is good too, and it has become a favorite lunch destination. Our community is actually Palm Harbor (home of the Innisbrook Golf Resorts, among other things). We are bracketed to the north with Tarpon Springs, a great Greek community with Greek Orthodox Church, Greek Festival, and the nationally famous Sponge Docks. It is a quaint little tourist destination, but the food is great. I nice place to walk around in the sun (which shines often in Florida). To the South, is Dunedin, an equally quaint, tourist destination, but with a very “local” feel and presence. There are many residents of the area that frequent the downtown, which features several very good restaurants featuring Italian, barbeque, authentic Mexican, and more. Dunedin has also become a destination for craft beer afficionados, with at least 4 local brew pubs and a couple very nice independent bars which specialize in wines and craft beer. It is a welcoming and great place to walk or bike. The Pinellas County Rail Trail runs right through the middle of Dunedin and it is usually well-populated with walkers and riders. In addition to these more well-known attractions, the little downtown areas of Palm Harbor and Ozona have some really fine local bar/restaurant establishments and one 5-star restaurant (Ozona Blue). We are fortunate to have a home in Palm Harbor which allows us to comfortably sit on our lanai and enjoy the sunshine, spirits and the occasional cigar :-), and our friends helped us enjoy that setting. My great friend, Paul helped me open and sample this “bucket list” bourbon. Very smooth, but not a bunch of character, in my own opinion. But the bottle is pretty cool. Couple things. I don’t think I carried the camera, or turned it on the whole 2 week period! All of the images here were made with my Blackberry “Priv” Camera. I have blogged here about “going small” with my gear. I am pretty impressed with the capability of this “smartphone camera.” But fear not. I have no intentions of ditching the Sony Gear. These were basically just snapshots. But I was glad to see the resolution allowed me to fine-tune these images in my post-processing software. Second, an announcement and a tease. 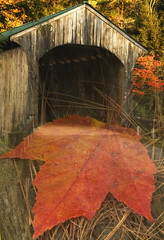 Those who know me well know that I wrote an e-Book on photographing Vermont Fall Foliage which is available on the major e-book sellers like iBooks, Amazon, B&N, etc. They also know that I have been working (for over 4 years) on an e-Book on photographing the Michigan Upper Peninsula (for those “in the know,” “The UP”). Both of these books grew out of my notes of shooting locations and eventually, PDF files that I made available. Well, after many fits and starts, and the addition of a co-writer, that UP e-book is at the publisher and I expect it to be available on the same outlets very soon! So stay tuned for the major announcement. Like all vacations, this one had to come to an end. The Florida Gulf is famous for its sunsets. What better parting image (again, made on my “smart” phone), than a Clearwater sunset? Andy: yes that Clearwater Beach sand is probably the whitest, softest sand I’ve ever seen. Our first time in that Tampa proximity we were certainly impressed with the area and there is certainly lots to do. LOL Kerry: Yeah. We have 5 major teams spring training in striking distance. We are minutes (probably about 4 miles each) from the BlueJays and the Phillies. We have the Yankees 1/2 hour away, and the Tigers in Lakeland. Can’t remember the other team but it is in the Bradenton Sarasota area (also about 1/2 hour). The Orioles train in Sarasota (I’ve played at both the major and minor league complexes there, though in both cases before the redesign that took place about five years ago). The Pirates train in Bradenton (again, I’ve played at both the minor league complex at Pirate City and at McKechnie Field, where the major league team plays its ST games (again, before it was rehabbed). So it sounds as though you’re in striking distance of six teams.